This quick and easy tea ring is the perfect addition to any brunch menu. If you've planned ahead of time, you can certainly make the brioche dough. But, if you are like me and need to throw something together quickly, I would go with the canned crescent dough. I made this recipe myself this morning and my family gobbled it down. 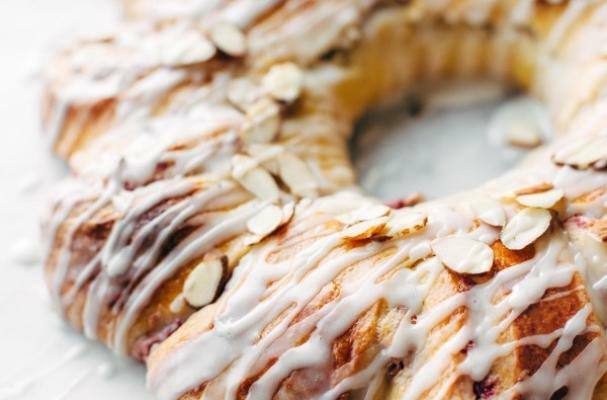 I love brunch recipe like this tea ring that are simple, delicious and beautiful.